Social networks and social media are two of the hottest buzzwords in the online world nowadays, and the need for people to connect with each other over the Internet has given rise to numerous services that perform this very essential function. Although seemingly similar in scope and function, each is actually quite different from the other, as you will see in this comparison article. 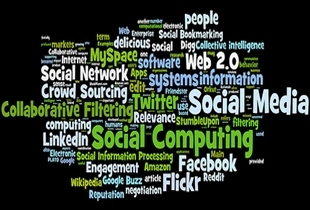 Social networks are social structures comprised of individuals or organizations known as "nodes". These nodes are connected to each other via friendship, common interest, and similar beliefs. In some social networks, members are connected by a shared knowledge or prestige. Social media is media intended for social interaction. It typically uses easily accessible communication techniques, and is widely used in web-based and mobile applications as a means of fostering interactive dialogue. Social media has also been defined as Internet applications that expand on the ideas and technologies established by Web 2.0. What virtually all types of social media have in common is a combination of technology and interaction as a means of shared responsibility in the value creation. 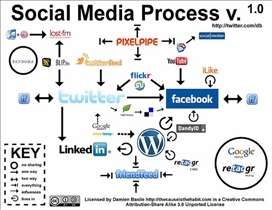 Social networks are commonly seen as social relationships that are reliant on nodes and ties. These nodes are individual entities within such networks, and the ties are the relationships that bind them together. In most cases, the relationships between different nodes can be quite complex, and many social networks actually function on many levels, including families to nations. Social networks have been recognized as playing important roles in problem solving, the running of organizations, and in determining how individuals achieve specific goals. Although social media often serves similar functions to traditional media in that they allow the sharing and access of news, information and education, they do so in a manner that is markedly different from electronic and print media such as newspapers, television, and film. They are a lot less expensive to implement for one thing, and they are also accessible to just about anyone, providing even private individuals the ability to publish or gain access information. Traditional media on the other hand generally requires considerable resources in order to publish information. What social media and social networks have in common is the ability to reach large audiences. That being said, they do have a number of clear differences, particularly with regard to how information is transmitted and/or shared. In any case, both social media and social networks allow people to transmit and share information with a broad audience, with virtually anyone given the opportunity to create and distribute information. In fact in most cases, all that is needed is an Internet connection. Social networks for their part tend to focus more on the act of engagement, by which people with common interests can interact with each other through social networking sites, and thereby establish relationships with other members of the community.